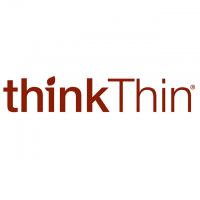 At thinkThin, we think eating well should taste great. What you put in your body affects what you get out of your day. Nutrition, protein-rich ingredients fuel an active life. And when you nourish your body, you feel your best. Over the last decade we have become a major name in the nutrition bar category by consistently delighting people with protein-rich, high-quality foods. We offer innovative products that are blind taste-tested as better than other products in the category. Our nutritional profile is the bulls-eye of what people are looking for in terms of protein, calories, fiber and lower sugar. From bars, we have grown our brand to offer new products in oatmeal and smoothies. Most of our products are gluten-free and GMO free. We hope you enjoy our products as much as we enjoy bringing them to you. Learn more about us at http://thinkproducts.com.